A lucky group of cadets from the Army Cadet Force had the opportunity to take part in a two-day visit to the Royal Military Academy Sandhurst. 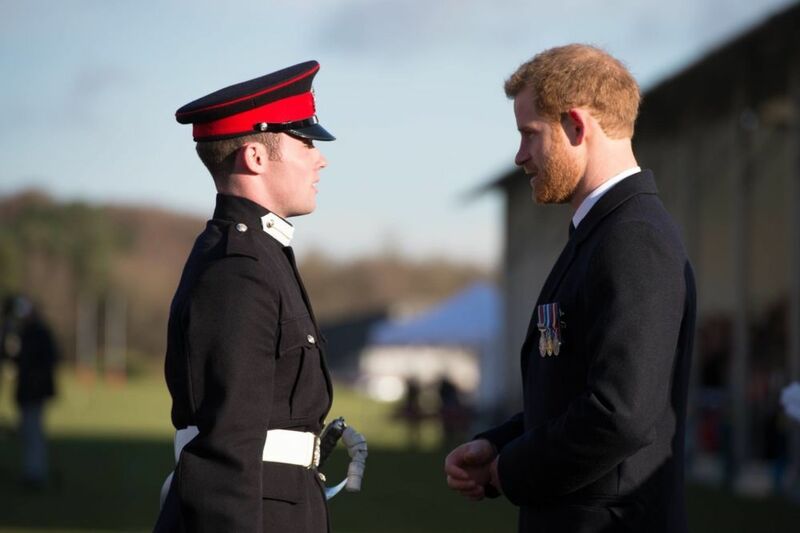 The visit took place on 14-15 December, coinciding with the Sovereign’s Parade hosted by Prince Harry, who inspected the Army’s newest batch of officer recruits graduating from the prestigious military academy. For the cadets it was an opportunity to meet and talk with serving officer cadets and to gather information about the Academy to help them make informed future career choices. 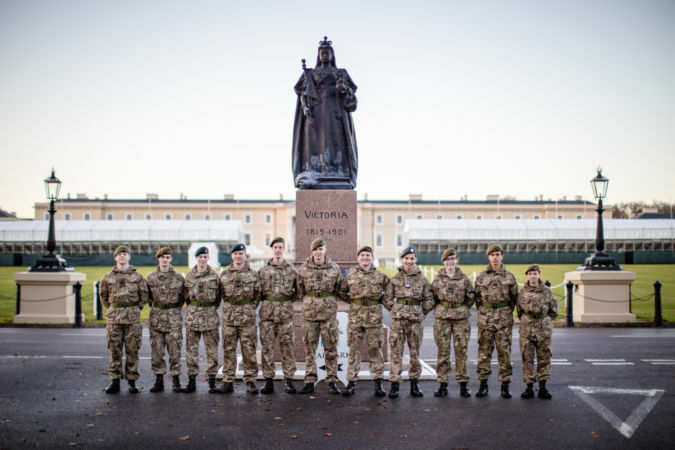 Beginning their visit on Thursday, the cadets were given a tour of the Academy, including the Chapel, the Library, the Gym and the Wellington Room in Old Collage, and a chance to witness military life at a training establishment. The cadets also took part in Op Reflect activities during their visit to the Chapel. On Thursday evening, two former CCF cadets currently on their commissioning courses at the Academy took time out to speak with the cadets. Ed Munno is part way through his training and will pass out at Easter next year, and Ben Ramsden, who passed out during the Sovereign’s Parade on Friday marking the completion of a year’s intensive training. Both spoke to the group about their experiences of life following school, university, the University Officers’ Training Corps and their time on the commissioning course. On Friday, the cadets assisted Academy staff with seating parents and guests prior to the Sovereign’s Parade, an honour for the both the ACF and CCF cadets. They then had the opportunity to watch the parade, salute and listen to Prince Harry, who was representing Her Majesty The Queen, 11 years on from his own graduation at Sandhurst. "This experience has been a complete privilege that we never thought we would have. It’s changed our views about the Army and enlightened us how spectacular the experience is, says Cdt Sgt Kaylon Pedley, with Buckinghamshire ACF. 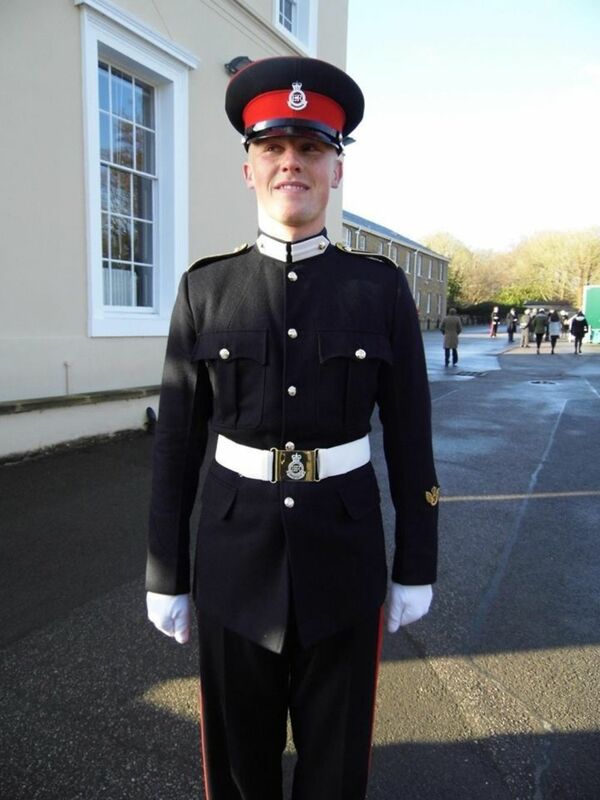 "I came to Sandhurst wanting to join the army as just a regular soldier, not believing in pushing myself too far, but this experience has changed how I see the army and what I aspire to do with my life in the future, it has motivated me to succeed further than I thought I could to get where I desire, The Royal Military Academy Sandhurst." At the parade, two former cadets from Dorset ACF completed the year-long Officer Training Course at the Academy. 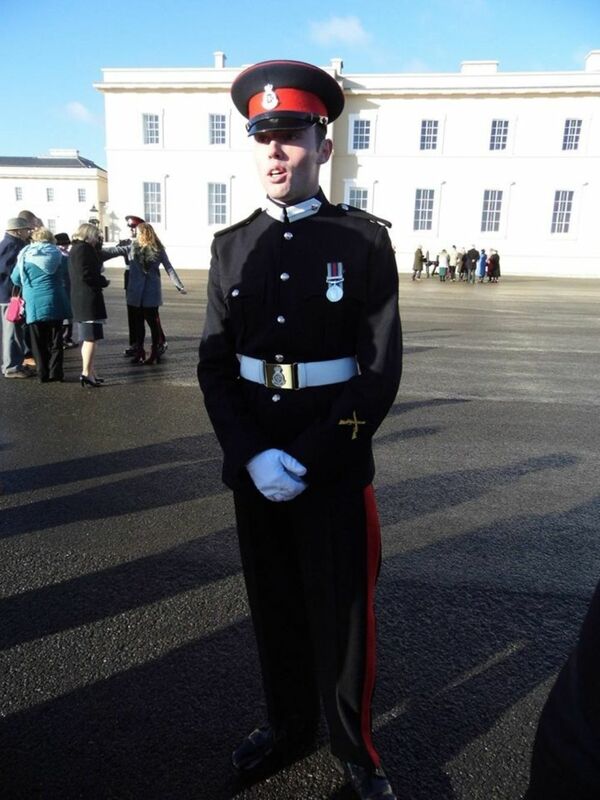 Officer Cadet George Harrison was awarded The Queen's Medal, which is awarded to the officer cadet who has achieved the best overall results in military, academic and practical studies and will be commissioned into The Rfiles whilst Officer Cadet Andrew Swaffield will join the REME.